Spring brings on colorful accents and cheerful moods. I knew that my friendship gift for April needed to counterpart what spring has to offer. In my mind there was no better choice than my party popcorn. A sweet and salty combination, with a pop of confetti color. Cute! I'm sure the salty/crunchy/sweet combo is delicious! It looks so pretty and yummy too! I need to try this! That is awesome!!! Love it!! Great idea, thank you. That is perfect for Spring and Easter! It sounds so yummy, and I love that it's colorful! 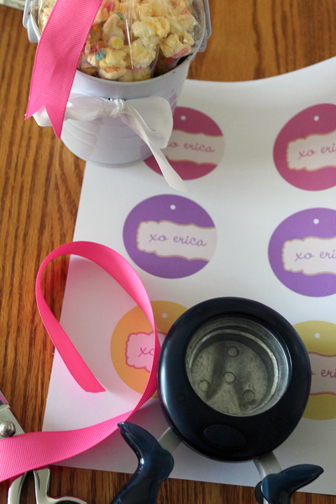 You always have the cutest crafty gift ideas! My goodness that looks amazing! 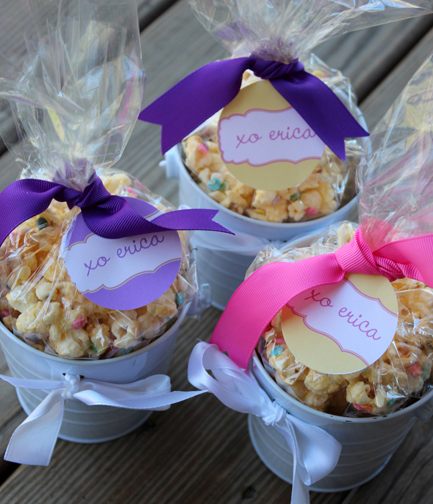 Popcorn is one of my favorite snacks! such a cute idea! perfect for an easter basket! could you just come over and make snacks for me all day? That would be great. I just bought all these ingredients to make this party pop! 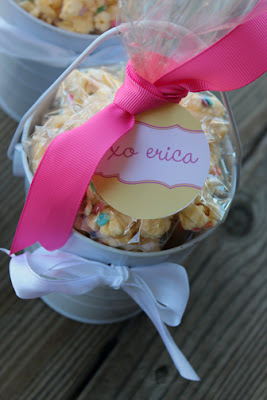 I absolutely love how you packaged...what a great idea and friendly on the wallet! The popcorn looks so yummy and what a great gift idea. Love the colorful sprinkles! Ahh that looks delicious!! Wow, I need to try this! I'm obsessed with this idea. Looks like I'll be making this very soon. Love love this idea. So cute.